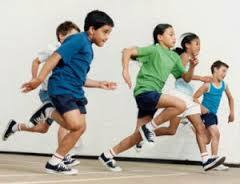 DirksHealth has one of Sydneys most reputable Kids Fitness Programs which has been operating for over 20 years. Our KidsFit Program promotes a healthy lifestyle, and aims to develop a lifelong passion for physical activity and sport, decrease childhood obesity, increase confidence and prepare children for participation in school and the broader community. The sessions will assist in the development of the children’s sporting skills & abilities such, as catching, throwing, jumping, running, as well as increasing cardio vascular fitness, strength, flexibility and core stability through our circuit workouts. The Sessions include a Nutrition component to help your child to make Healthy Food Choices – supporting you as a the parent in educating your child. Done properly, strength training offers many bonuses to young athletes,and is also a good idea for kids who simply want to look and feel better and have more confidence in everyday life. In fact, strength training can put your child on a lifetime path to better health and fitness. Don’t confuse strength training with weightlifting, bodybuilding or power lifting. We will use primarily body weight exercises ,with a special emphasis on teaching the kids proper technique and safety. I personally think strength training is a necessity for any boys competing in contact sports such as Rugby or AFL in Under12’s onward’s, to help prevent injuries. We cannot hold a place for unless the term has been paid in full, so please call today on 9365 7033 to secure a spot . We have designed each class to not only be fun and engaging for kids, but have tangible fitness activities with a good mix of cardio, strength core stability and flexibility. We will be testing the kids on each area of fitness on the first and final week so we can chart their progress and also highlight what areas of their fitness needs some attention. This class is a great entry level class suitable for all fitness levels. If you have any questions about our KidsFit Program, please don’t hesitate to give us a call on 9365 7033.